STORY SPROUTS ANTHOLOGY went live on Amazon on October 29th! This summer, 19 talented children’s book authors accepted a challenge to workshop, write, revise, polish, and submit two stories – in public, under the pressure of a six-hour deadline, with the promise of publication. 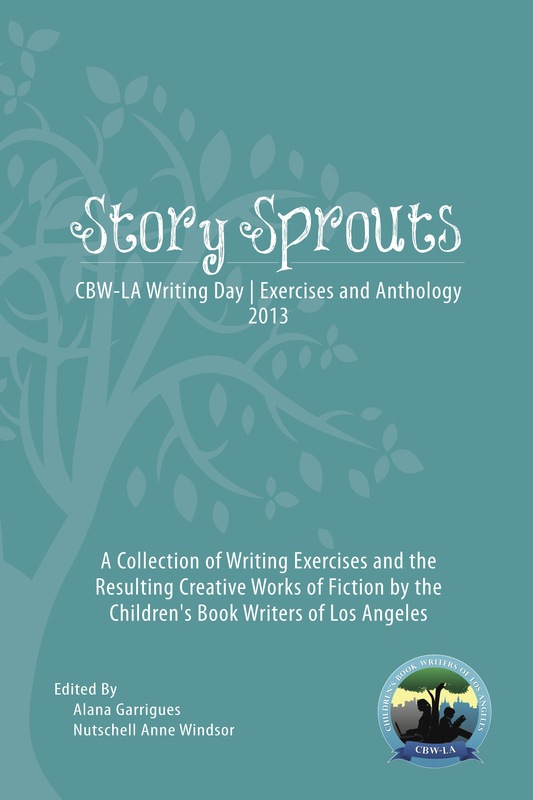 On October 29, 2013, their work was revealed with the global release of Story Sprouts Anthology 2013. Guided by the writing exercises and handouts, anthology authors produced two pieces. One revealed insights “On Writing” and the other was a fictional piece based on a photo prompts. Submissions range from poetry and narrative essay to flash fiction and picture book manuscripts. Some of the author names will be familiar to Hollywood and literary insiders. Contributor Abi Estrin wrote the animated adaptation of Ben Hur and produced several episodes of On the Road in America. Contributor Lynne Southerland has 20 years experience in Hollywood; her credits include co-directing Mulan 2 and co-producing Disney’s An Extremely Goofy Movie and HBO’s Happily Ever After: Fairy Tales for Every Child. Contributor Donna Marie Robb’s stories have been published in several literary magazines and she her children’s book reviews have been published in the School Library Journal. Please encourage our efforts by buying the book in either print or for Kindle at Amazon. That is so fantastic! You are amazing! Such a wonderful post Lynne. Thank you. To Lynne’s readers – her stories are truly captivating, and I highly recommend her work in the Anthology! “The Knife” is a compelling read that examines the meaning of family and a mother’s love, while the lyricism and beauty of “I Am On The Path” transports the writer into a lovely daydream about voice and human connection. Congratulations!!!! I am tickled pink to read this fabulous news, and look forward to reading the stories! !